We live in a world where digital content is consumed and shared at a rate exponentially faster than traditional offline media. If you want an analogy to help you understand the growth rate of content marketing, I’ve got one for you: if traditional marketing is a race car, digital marketing is a rocket ship. No matter how fast your race car is, the rocket ship will take you where no car can go. It’s appropriate to think about content marketing as a transformation for your entire organization and not just a transition for your advancement office. And if you don’t think it really matters, then consider the drastically different way people research and buy things today. According to the Pew Research Center, 86 percent of people consult the internet before making a purchase. The power of the internet has enabled the average consumer to get instant answers to just about anything they want to know about, and this revolution is why the sheer quantity of content consumption presents such a challenge to most nonprofit organizations. But here’s the good news about content marketing that your entire organization needs to understand: content marketing is driven by powerful stories. And if there is one thing that Catholic nonprofits have in abundance, it’s remarkable stories of service, charity, mission, and hope. The challenge is in getting these stories out there where they can easily be found, shared, and leveraged to build an audience who cares deeply about your core mission. 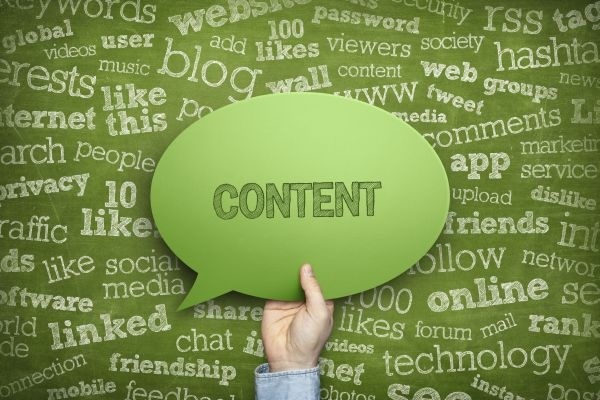 The best way you can help your organization get fully on board with content marketing and overcome this challenge is to understand the changes that are involved for your entire development team. How much time should you devote to content marketing? What tools do you need to publish, track, and measure your content? What are the metrics you should focus on to evaluate success? Who should be involved in developing content? Depending on the size of your development team, there are really two organizational models you can adopt for developing content: (1) the “Specialist” approach and (2) the “All Hands on Deck” approach. The “Specialist” approach is where you hire or assign a small group of 1-3 people whose sole job is to create and publish story-centric content for your nonprofit. This “media team” brainstorms, writes, edits, and manages your social profiles and all of your digital media. Approvals and oversight are usually handled by the development director, but the media team is authorized to publish fresh content regularly. The content strategy is coordinated by both the development team and the content team and includes specific goals for website visitors, prospects generated, and publishing frequency. Alternatively, the “All Hands on Deck” approach spreads the work out across your entire team. In this model you build content creation expectations into job descriptions. Brainstorming happens as a team and then specific content pieces are delegated with deadlines. One person is assigned to manage the content calendar and the overall process, and approvals are typically handled by the development director. The idea is that everyone contributes in some way, whether it be outlining or researching mission-related stories, managing social media, writing, editing, publishing, etc. Although both models have their merits, the ideal situation in the long run is to build a team of content specialists who can focus solely on generating powerful stories about the people you serve. The best vehicle to publish stories about your core mission is in a regular blog, and it should be a blog that operates under a subdomain of your website (not hosted on a separate blog-hosting site). And you should be blogging weekly to build your SEO ranking with Google. Organizations that blog weekly generate 55 percent more web traffic than organizations that don’t! Once you start publishing stories on your website (through a blog) you now have regular, fresh content to share on social networks. Promote information about events, campaigns, and trends going on in your mission focus areas, and beyond that, start working on rich content like videos, reports, devotionals, mission-related guides and infographics. These kinds of content are called “premium content,” and premium content is very important to your overall content strategy. No matter what specific content pieces you publish, the most important thing to remember is that all of your content needs to be conversion-centric. Never publish a blog post, a social message, a video, or a news update without also offering a way for your visitors to go deeper and “convert” through an online form of some kind. Every blog post should link to related content offers found on a landing page with a form. In other words, never publish content without an action strategy behind the topic. This is always a hard one for fundraisers and development professionals to figure out, especially because you are likely already doing too many things and used to the transaction-centric nature of traditional advancement work. You know how much time it takes to produce the typical Christmas appeal. You know how much time the big gala requires. So how do you plan for everything involved in the regular work of researching, writing, editing, publishing, tracking, and measuring your digital content? The answer is directly linked to your goals. If you don’t know what you are trying to achieve, you cannot know how much time and resources to dedicate to developing content. You need to first develop S.M.A.R.T. goals: Specific, Measurable, Attainable, Relevant, and Time-Bound. You should be publishing a new story weekly. You should publish at least 2 landing pages every month. You should post at least 8-15 messages on social networks each week. You should be offering downloadable content every month to specific constituent groups. You should have automatically triggered email nurturing sequences for prospect development. You should be tracking how people are responding to your content. For sure, the biggest challenge for your organization in the beginning will be managing all of the little things that need to happen for digital content to be properly managed, published, tracked, and measured. Often we see nonprofits that nearly drown in all of the content marketing work when they first jump into content development. You need to take advantage of today’s technology tools that multiply your effort and streamline the content development and publishing process. And the good news is that there are many content marketing tools out there to help you save time and effort, and some of them are free, or very cheap! There are tools for managing all of your social media, tracking visitors on each page of your website, developing keywords around your mission, building quick landing pages, hosting and tracking video views, heatmaps to show how visitors are using your website, and many more things related to the marketing of your content. You can find the right tools that you need and string them together, or you can go the platform route and get a comprehensive content marketing software system that has all (or most) of the tools you need in one powerful marketing automation platform. The first and most important metric to focus on is average monthly website visitors. If you aren’t growing your visitor-base, you can’t generate prospective donors to engage from your website. In your first year of content marketing you should roughly double the number of visitors to your website (measured by monthly average). Next, you need to know what your visitor-to-prospect conversion rate is. How many website visitors are converting through some sort of form on your website? This can include both first-time conversions (brand new contacts) and re-conversions (existing prospects who are coming back and going through another form). Any conversion on your website is a good thing for your organization and builds a data profile for each contact you are tracking. Social media interactions should also be increasing as you develop more content. The results will vary depending on the size of your following and the specific missions your organization is involved in, but the key performance indicator to keep an eye on is number of visitors coming from social media to your website. At least 20 percent of your website’s monthly traffic should be coming from social media. As you get into more advanced levels of content marketing, there will be many more complex metrics to track and analyze, but in the beginning it’s best to keep your attention on building a following and generating conversions. Content Marketing is a marathon, not a sprint! Don’t forget that one of the great advantages of developing powerful digital content is that what you create today will continue to work for you tomorrow. Unlike traditional fundraising campaigns that produce the typical bell-curve results, content marketing generates compounding results that resemble an upward-climbing mountain profile. As you publish more content you will be building your indexed pages with the major search engines, which not only will improve your organic search results but will also make your content easier to find by the type of people who are actually interested in the same missions that you serve. Looking for more stats on content marketing to help convince your board why your organization needs to be doing content marketing? Download our latest presentation - “How to Get Your Board On Board with Content Marketing” to get more facts and trends to make the case!